What a way to end the League 1 and League 2 seasons! There was plenty of action right up to the final seconds with twists and turns, tears and cheers, and that was just what happened at Griffin Park. There was promotion and relegation to be decided in both leagues, and now that it’s over there are serious questions to be asked. 1. How do Brentford pick themselves up for the play-offs? They had promotion within their grasp. A last minute penalty to secure promotion, missed, and then their opponents break quickly and score to secure their passage into the Championship, instead of Brentford. Nobody can really imagine how young Marcelo Trotta must feel today after yesterday’s nightmare. It was cruel on the Brenford supporters who must have been sure their near 60 year wait for a return to the second tier was about to end. The players were left visibly crushed and demoralised by the sickening kick in the teeth. But now they must prepare themselves for the play-offs knowing they really shouldn’t be there. Unfortunately their form has slowed in recent weeks and they are without a win in their last three games. They face Swindon, who go into play-offs on the back of a defeat against relegated Scunthorpe. This is by far the biggest challenge of Uwe Rösler’s short managerial career, and he will have to show all his metal to get the Bees (who have a poor record in play-offs) promoted. But how often do we see the 3rd-placed club struggle in the play-offs after the disappointment of missing out on automatic promotion. 2. Is Brian Flynn the man to keep Doncaster up? Flynn was contracted as manager until the end of the season, after taking over halfway through the season following the departure of fellow Welshman Dean Saunders. Few people would argue against Flynn being given the reins on a full-time basis. He may look like a pensioner but Flynn is only 57-years-old and still has so much to offer. His record in charge of Wrexham, Swansea and the Welsh under-21s shows he is a natural motivator, who is adept at nurturing talent. He also has a brilliant understanding of the transfer market, and is excellent at spotting talent. Can he keep Doncaster in the Championship? It will be a tough task because he will have one of the smallest budgets in the division. But in the topsy-turvy Championship, who’s to say the Yorkshire side can’t replicate the success they had under Sean O’Driscoll? If anybody can keep them up it’s Brian Flynn. 3. Will Bournemouth care that they weren’t crowned champions? No. When you’ve been waiting 23 years to get back in the second tier, you’ll take it however it comes, especially since they looked like relegation candidates before Eddie Howe returned to the club. They’re still going up, they’ve still got a heap of momentum behind them and they will still fancy their chances of doing well at a higher level. Missing out on the title is a minor disappointment. 4. 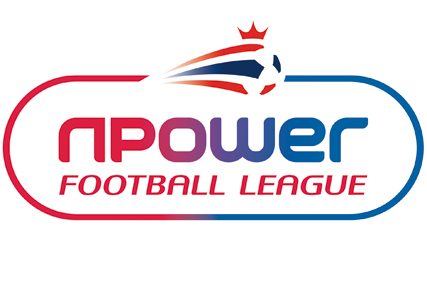 Have the worst four teams been relegated from League 1? It would be tough to argue otherwise. Portsmouth have at times this season played like a play-off-chasing team. But no club could cope with the instability on or off the field which Pompey have had to endure. Their team has had so many changes, it’s been impossible to establish any kind of run. Even without the 10-point deduction they would have been comfortably relegated. On the plus side Portsmouth enter League 2 with better prospects than when they entered League 1. Hartlepool’s second half of the season has been surprisingly positive, and John Hughes deserves credit for coming in at a difficult time and turning things around. Unfortunately the damage was done before the Scot took charge. Hartlepool only managed two victories before the new year and despite a plucky fight the squad wasn’t strong enough to stay up. It’s hard to argue a club who achieved just nine points from their first 23 fixtures deserve to stay in the division. Bury have been punching above their weight in League 1, and in doing so they’ve ran up some worrying debts. Kevin Blackwell had very limited resources and it was always a huge ask for him to keep the Shakers up. The squad never looked good enough to avoid the drop and with a leaky defence and a blunt strike-force it was inevitable they would be relegated. With cost-cutting required next season could be tough for them. Scunthorpe were the only club relegated on the final day of the season in League 1. They did all they could to stay up, beating Swindon 3-1 but just like the other three teams going down with them to League 2 they were struggling from the beginning, having lost their first four games of the season. Bringing in Brian Laws gave Scunthorpe hope but it was too much to ask but nine years after he got them promoted from League 2, he is now taking them back into the bottom division of the Football League. So yes, the four worst teams in the division were relegated. 5. Were Rotherham the second best team in League 2 this season? No they weren’t but that doesn’t mean they don’t deserve to go up. Port Vale deserve massive credit because they’ve been magnificent and probably should have finished second but they took their foot off the pedal after securing promotion. Pulling their foot off the pedal is one thing Rotherham haven’t done this year. They showed their determination by saving their best run of the season for the final weeks. Their five wins in a row saw Steve Evans’s side clinch 3rd in the league and return to the third tier after a six year absence. Rotherham have been tough and hard-working all season, but they’ve also played some great attacking football. They’ve scored far more goals than anybody else in the league, and with their new stadium and a wily, Machiavellian manager there’s no reason why they can’t excel in League 1. 6. Were the worst two teams in League 2 relegated? Aldershot were the worst club in the division this season. They never looked like scoring, they lacked creativity and this put enormous pressure on the defence. They had less wins than any other team and throughout the season they didn’t look good enough to stay up. Aldershot have seen worse days, but having worked so hard to get back in the league they will find it tough to re-group and challenge in the desperately tough Blue Square Premier next season. Barnet’s season can be split in two – the season before Edgar Davids joined on October 11 and the season after he joined the North Londoners. Looking at League 1 and League 2’s relegated clubs, poor starts are a recurring theme and you can’t get much poorer than Barnet’s start. A winless first 13 games left Barnet playing catch-up from the beginning. Davids came in and galvanised the squad and their form since his arrival has been very impressive. However their loss on the last day of the season, coupled with Wimbledon’s win, mean League 2’s greatest survivors will start life at their new stadium in the Blue Square Premier. There are several clubs at the bottom of League 2 who have been very lucky to avoid the drop. Torquay and Plymouth didn’t expect to be battling relegation this season and they need to get their houses in order if the two Devon clubs are to avoid a repeat next year. Dagenham and Redbridge have struggled badly and escaped the drop by the skin of their teeth. Next season could be very difficult for them. Wimbledon had a brilliant final day victory to evade relegation, but they too need to improve if they are to stay up next season. 7. Is it time for a third relegation spot to be introduced in League 2? Once again the standard of teams battling to stay in the Football League was particularly poor. And once again the standard of teams fighting for promotion in the Blue Square Premier was extremely high. Non-league clubs are desperate for the Blue Square Premier to be given a second automatic promotion spot because they believe there currently exists a glass ceiling preventing many good clubs from competing in the league at the expense of league clubs who possibly aren’t good enough to be there. The Blue Square Premier clubs make a very convincing argument and their frustrations are understandable. Many of the clubs in the top six of the fifth tier would have performed far better in League 2 this season than the bottom seven sides, had they been given the chance. But in the interest of stability the status quo should be retained. The difference in funding and coverage between League 2 and non-league is enormous and so many clubs fail to adapt to the drop. This season saw Stockport County relegated to the Blue Square North after failing to acclimatise to life outside the Football League. Numerous clubs have gone bankrupt because of the culture shock. The last thing we want to see is clubs regularly going bust when they leave the league. This entry was posted in Football, League 1, League 2 and tagged AFC Wimbledon, Aldershot, Barnet, Blue Square Premier, Brentford, Brian Flynn, Bury, Coppinger, Daggenham and Redbridge, Doncaster, Edgar Davids, Hartlepool, League 1, League 2, mansfield, miss, penalty, play-offs, Plymouth, Port Vale, Portsmouth, relegated, relegation, Rotherham, Scunthorpe, Torquay, Trotta, Wimbledon, Wrexham, York on April 28, 2013 by gutollewelyn.